XIX, 440 p., 17,6 x 24,5 cm. 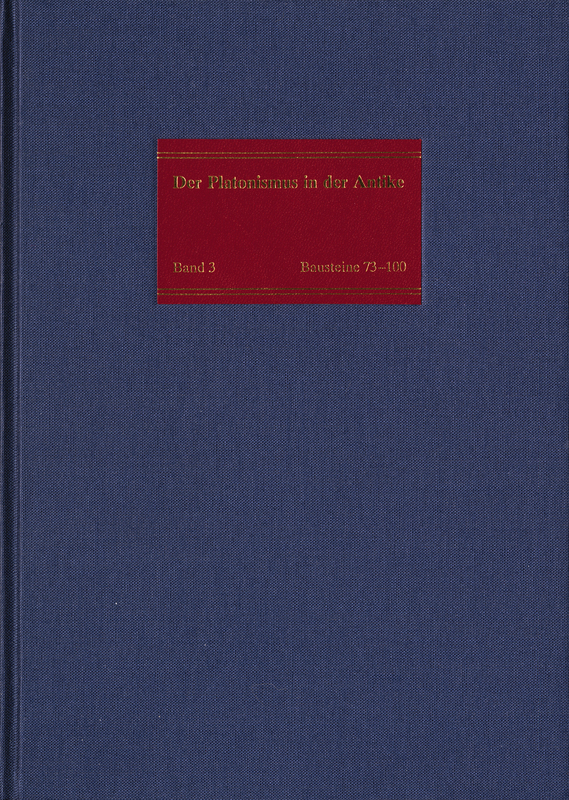 Volume three deals with the conditions under which the Platonic philosophers were living in the 2nd and 3rd centuries AD and focuses on the assistance they received from the cities and the emperor, public tributes, the way in which they were judged by outsiders and the decline of Platonism in the 3rd century AD. Furthermore, the way in which others dealt with Plato’s writings is discussed. This includes commentaries on Plato’s dialogues, complete overviews of his teachings, monographs on controversial issues or lexicons of terms he used. Der Kommentar von Matthias Baltes ist ein Werk zur Geschichte des kaiserzeitlichen Platonismus, auf das niemand, der sich als Philosophie- oder Theologiehistoriker mit diesem Zeitpunkt beschäftigt, wird verzichten können.